This year The Body Shop renewed their face spray line. I was an avid fan of the Vitamin C Face Spritz and liked their Vitamin E one too. The new line contains 5 different face mists for different skin needs. One that intrigued me the most and which I bought first to try is the Mint Mattifying face mist. How did I like the product? One thing that is great about the new face sprays is that they are quite affordable. The old sprays retailed for €18 a pop. The new face mists retail for €8. That is less than half of the old sprays. One big difference between the two sprays though is the fact that you also get a lot less product. The old sprays contained 100 ml. The new sprays contain 60 ml. That is still a decent amount of product, but it also explains the cheaper price point. What I have noticed about this spray is that I am using it up very quickly. I have been using it for a few months and it is already nearly gone. And I think it has to do with the spritzer this comes with. The nozzle dispenses so much product in one go, much more than the older spray that I loved. I really had to get used to the amount and strength of the spray when I first started using this. Rather than dispensing an even amount of product all over my face, this squirts little drops on certain areas of my face. It is concentrated but then also starts dripping down my face. I have to be very careful not to get this running into my eyes or into my mouth. And I feel it wastes product that way. Aqua/Water/Eau, Tapioca Starch Polymethylsilsesquioxane, Propanediol, Glycerin, Butylene Glycol, Polysorbate 20, Phenoxyethanol, Kaolin, Caprylyl Glycol, Parfum/Fragrance, Trisodium Ethylenediamine Disuccinate, Limonene, Aloe Barbadensis Leaf Juice Powder, Barosma Betulina Leaf Extract, Citric Acid, Mentha Viridis Leaf Extract/Spearmint Leaf Extract, Fucus Vesiculosus Extract, Benzyl Alcohol, Linalool, Sodium Benzoate, Tetrasodium Pyrophosphate, Sodium Hydroxide, Potassium Sorbate. In terms of ingredients I don’t think this product is all that different from the face mist I loved. It does seem to have a few more filler ingredients and fragrance is higher up the list. This product promises to hydrate and mattify your skin. It is 100% vegan and should refresh the skin. Additionally, it should work well under makeup. I like using this in the morning as a first layer before I apply the rest of my skincare. I felt it worked well enough, but I didn’t find this very mattifying. It does make my skin feel nice and hydrated though, which is my main reason for using a face mist. Here you can see very well what I mean with this product being dispensed as a splash of product onto the skin. 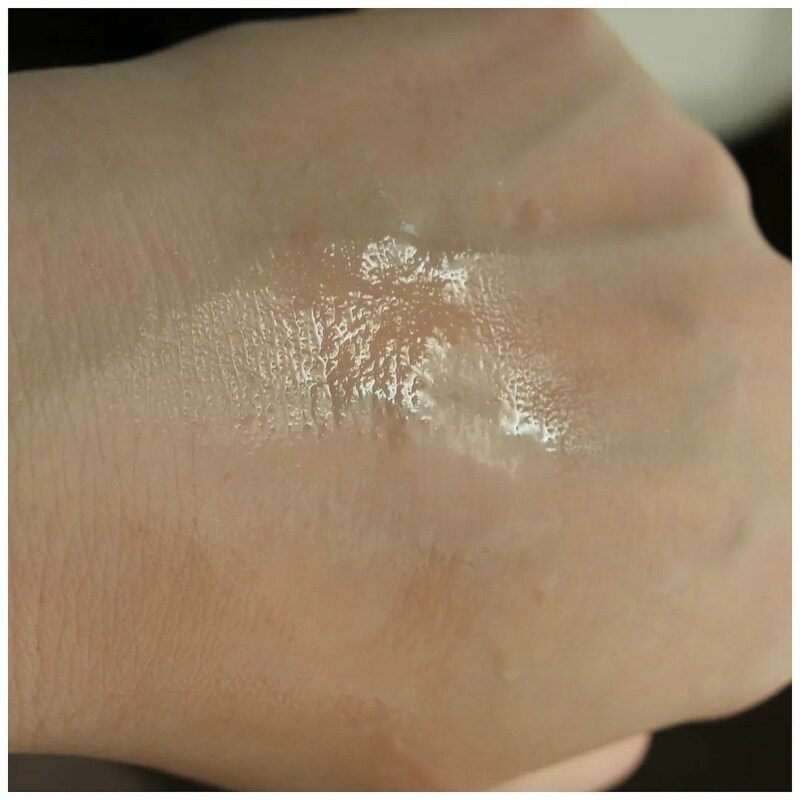 You can see how concentrated it is in the middle and not as a gentle mist all over the skin. It is a burst of product and I feel I need more of an even layer. However, you can also see how hydrating this product is. The Body Shop’s Mint Mattifying has left me feeling torn. This product worked well enough to use up completely and I liked what this product did for my skin. What I didn’t like is how it is applied. The spritzer is too harsh and leaves pockets of product on my skin that then start running into my eyes and mouth. Not a pleasant experience. That is why I will not be repurchasing this product, but I did buy the Mandarin version of this spray to try and see if that works differently. What face mist is your favorite? Can’t you pour the liquid into a spritzer you do like? If usually keep an empty spritzer I really like to recycle with a product that has a bad spritzer. But with the Body Shop spritzers it seems like hit and miss. Mine seems fine but the orange one from the same range has an even finer mist.